It’s a little-known fact to those that haven’t visited Idaho that our state is much more than potato fields. Our potatoes are awesome, but Idaho offers travelers unparalleled beauty, history and experiences. With over 83,000 square miles of terrain, much of which is large wilderness tracts, it can be a challenge to know where to start exploring. Boise State Public Radio recently came out with a good place to start with their “Idaho Bucket List: The 75 Things Idahoans Should Try (At Least Once)”. 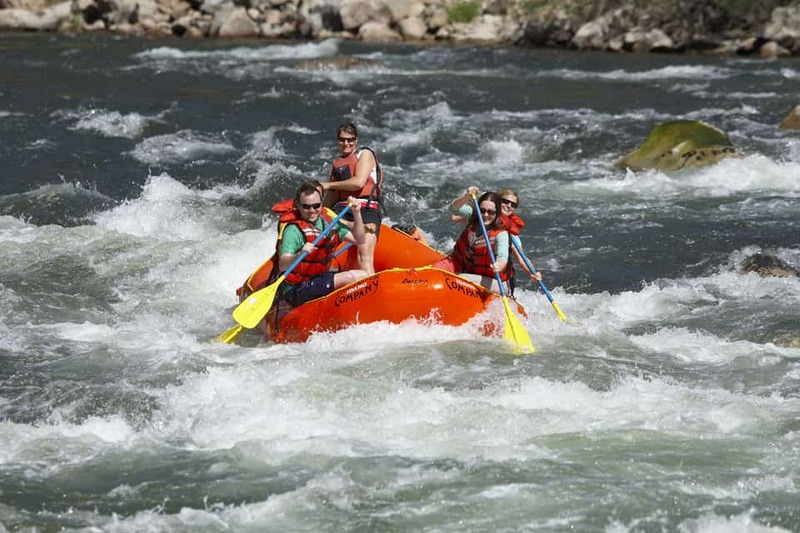 We are particularly fond of #14-Go whitewater rafting on the Salmon River, and looking over the list we realized that one could easily make a weekend or week-long trip out of bucket list items just in our area. Take a look at the list below while planning your vacation to the Sun Valley and Stanley areas. Make sure to include some of these activities and hit some of these hot-spots while you are here. 67. 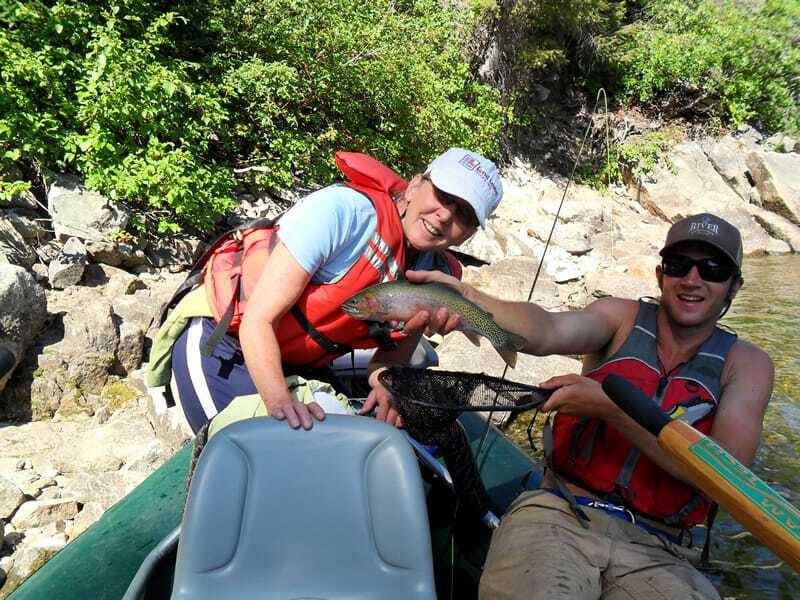 Catch an Idaho trout. 43. Attend the Trailing of the Sheep Festival in Ketchum, Idaho. 28. Tour some of Idaho’s ghost towns; Silver City, Custer, Bonanza, Chesterfield, Rock Creek Station. 18. Hike in the Frank Church River of No Return Wilderness. 15. Stay at Ernest Hemingway’s Suite 206 at the Sun Valley Lodge. 14. Go whitewater rafting on the Salmon River. 13. Photograph the Sawtooth Mountains near Ketchum. 4. Skinny dip in one of Idaho’s remote mountain lakes. 2. Canoe on Redfish Lake. 1. Spend the night in (or visit) a forest fire lookout. 59. Go spelunking at Craters of the Moon. 21. Tour the Shoshone Ice Caves. 20. Witness (or do) a basejump from the 486 foot Perrine Bridge on the Snake River. 74. Have a picnic at Shoshone Falls on the Snake River near Twin Falls. We love this list and are excited to check out some of the things we haven’t discovered yet. If you are planning a trip to Sun Valley for the first time or making your annual trip to the area, we invite you to do the same. Once you begin discovering these places you are well on your way to becoming an honorary Idahoan. 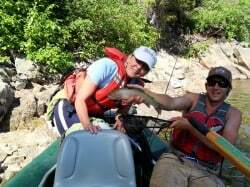 See you on the Salmon River! 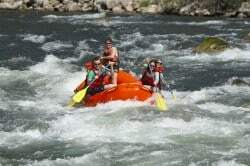 This entry was posted on Wednesday, February 5th, 2014 at 12:16 pm	and is filed under Family Rafting Trips, Group Raft Trips, Idaho, River Rafting Trips, Salmon River, Stanley Idaho Rafting, Sun Valley Idaho Rafting, Sun Valley River Trips, The River Company, Vacation Planning, Wood River Valley. You can follow any responses to this entry through the RSS feed.